Carrie and I had a blast on Monday afternoon – sharing all kinds of great organizing tips and food and wine ideas for summer! Here in Atlanta we have lots of outdoor venues – including Chastain Park Amphitheater. Its tradition in our homes to attend at least a couple of performances every summer – taking a picnic and wine to share with friends. That’s the spirit of our Facebook Live this week – an outing full of laughter, yummy food, delicious wine and NO stress because you’ve got it well organized! Drink Wine and Get Organized for the Perfect Picnic! 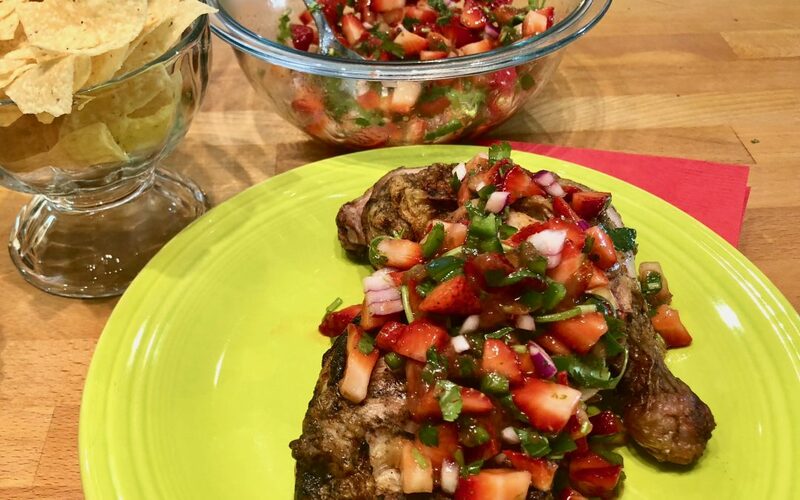 This easy recipe can be your building block to an ANY fruit salsa – strawberries, cherries, peaches, even watermelon! Combine ingredients in medium bowl and stir well to blend. Who says this salsa has to be used just for chicken? Try it with pork, as a spread for a turkey burger or just by itself with chips. If you’re not eating meat, try stuffing a grilled portabella with it. Or top goat cheese with the yummy salsa, and serve it with crunchy crackers. 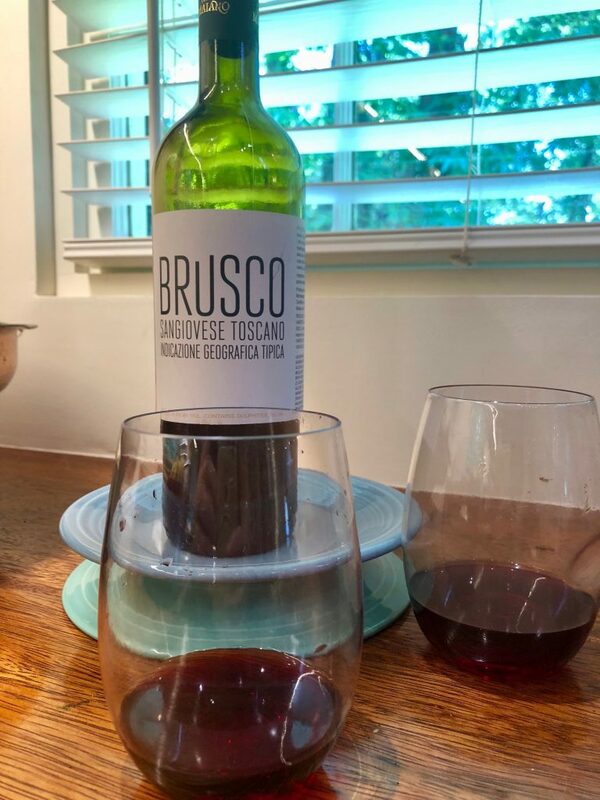 Sangiovese is a great summer quaffer – a lighter red that you can serve between 58 – 60F, That’s slightly chilled for a refreshing glass. Sangiovese tastes like berries and cherries with just a whiff of earthy herby flavor. You can find it at the local grocery store – but if you can’t find it by the name “Sangiovese” look for it as “Chianti” Chianti is the place in Italy where it is from. Its the main grape of this easy drinking Italian! This particular bottle is fun – made by the FUSO21 project – an endeavor to find the best grapes for an affordable wine. I found this at World Market for about $12 a bottle.